Airtel has taken the lead when it comes to 4G services. The company has launched services ahead of Reliance Jio, Vodafone and Idea Cellular, allowing it to get the first movers advantage. The company has also partnered with handset makers like Samsung and Apple and online retailer Flipkart to further spur its 4G services. Vittal said the ecosystem for 4G devices is fast evolving with price of handsets coming down to Rs.5,000 and may go further lower going forward. Mobile data revenue contributed 21.5 per cent of its India revenues, up from 14.5 per cent in the year-ago period. Data average revenue per user (ARPU) increased by Rs.42 to Rs.193 (year-on-year) in the reported quarter, led by 35.9 per cent increase in data usage per customer. Earnings before interest, taxes, depreciation, and amortization (EBITDA) were Rs.8,265.3 crore during the quarter, an increase of 6.7 per cent as compared to Rs.7,749.4 crore in the year-ago period. The net debt of the company at the end of September 30 stood at Rs.70,777 crore. The company's Africa operations extended the net loss to $170 million during the quarter under review, as compared to a net loss of $124 million in the year-ago period. Adjusted for the impact of divestment of its tower assets, Airtel's Africa revenues grew by 5.1 percent, the highest in the last 4 quarters, to USD 1,028 million as compared to $978 million in the corresponding quarter of last year. "Strong demand is being witnessed both in voice and data with our consumption increasing by 19.5 percent and 104.5 percent respectively. In the first half of the year, we have divested tower assets of $1.7 billion," Airtel Africa MD and CEO Christian de Faria said. The company plans to sell all its mobile towers in Africa region. The company said during the reported quarter, agreement for sale of tower assets in Malawi with Eaton Towers has lapsed and therefore stands terminated. "Accordingly, assets so far held for sale and the related liabilities amounting to Rs.704 million and Rs.491 million respectively, have been re-classified from held for sale to its earlier classification," Airtel said. Meanwhile, speaking during an investor call, Vittal said the company is working with the government to address the call drop issue. "We are working with the government to address the problem of fixing of network infrastructure by deploying cell towers, providing adequate and affordable spectrum as well as educating citizens on radiation fearsâ€We view this as the most effective way to address any call drop issue that may exist in the system," he added. 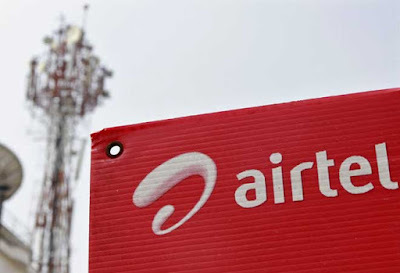 On a query if Airtel could increase tariffs, Vittal said the company would look at opportunities but it won't be at the cost of losing competitiveness.